Turkey’s top religious affairs body has formed a two-pronged common strategy to fight against Islamophobia in Europe, head of the body said on Saturday. In an interview with Anadolu Agency, Diyanet head Mehmet Gormez said the new strategy would gather Muslim pioneers in Europe and arrange meetings with non-Muslim communities. He said Diyanet would organize the first meeting between May 22 and May 25 in western Sakarya province. 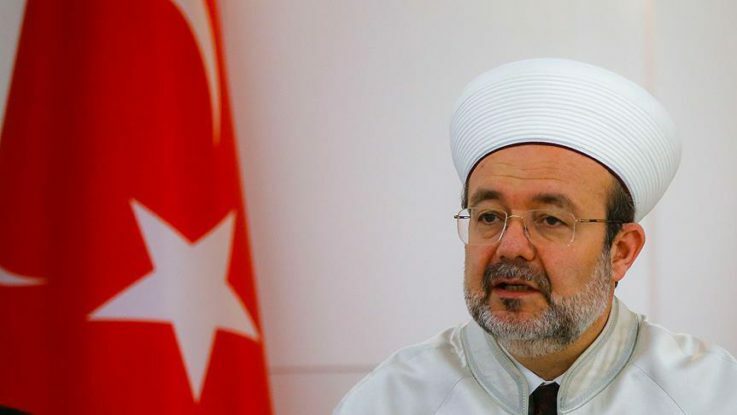 He said the meeting in Sakarya would gather religious officials from 120 countries, including religious advisers who work as representatives of Diyanet, attaches and coordinators of religious services. A larger meeting would later be held in Europe that would be dubbed as a gathering of European Muslims, he added. Gormez noted two significant developments in Islamophobia around the world. “Firstly, the phobia has switched to enmity by surpassing hatred. And secondly, the phobia is shifting from media and political field to other social layers,” he said. He underlined that the Islamophobia is not only concerned by Muslims but other religious institutes and pioneers should seriously discuss it.